This weekend, as promised, I’ve been and bought some Christmas chocolates, for testing purposes only. I got a tub of Roses and a tub of Quality Street. 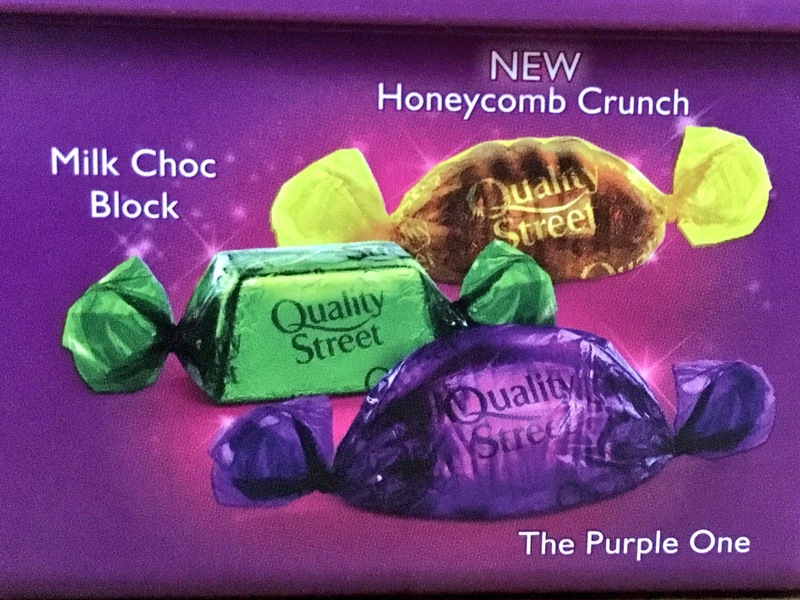 Although I intended to focus on the new Roses wrapping, I actually went for the Quality Street first to have a good go at the new Honeycomb Crunch flavour and see what was missing. Firstly, my goodness are the tubs small these days. If you can find it, you can get 1.3Kg tubs of Quality Street, but this is the 725g tub and boy can you tell. The tub though is pretty full, which is nice to see. The wrapping of the sweets is still the classic twist wrap and the colours are lovely with minimal branding. It’s old fashioned and better for it. The new sweet is the Honeycomb Crunch flavour and one of the toffee ones has made way. 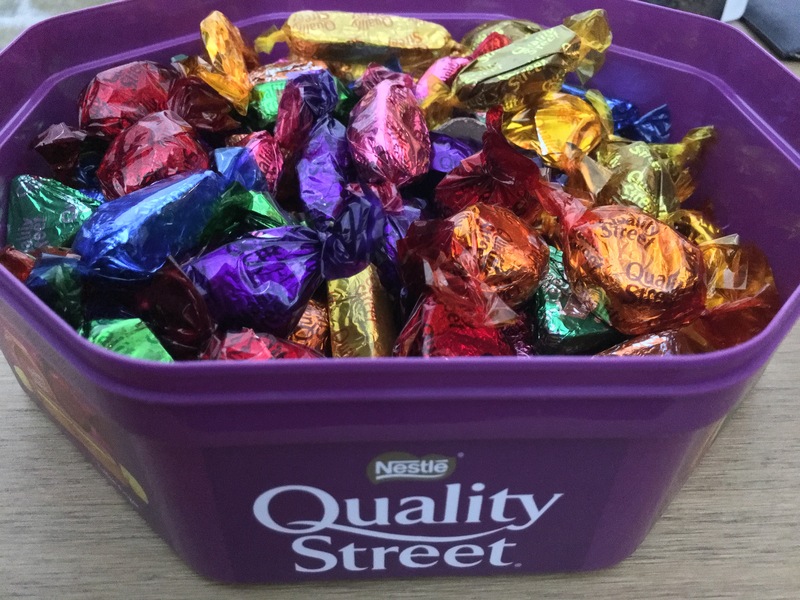 This isn’t a bad thing, my Dad is always saying he can’t have Quality Street as it’ll pull all his teeth out, so this is improving the overall product selection here. The new sweet tastes good, much as you’d expect. It’s not very crunchy though, but it’s got a nice Honeycomb flavour and you’d say it’s middle of the road for the tub and a worthwhile addition. One big drop I noticed, there is no menu card this year. The menu is around the sides of the tub. I’m sure this saves Nestle a good few grand and if it means they keep the price and weights for another year, that’s good. But it’s still disappointing, but not enough that it ruins anything. 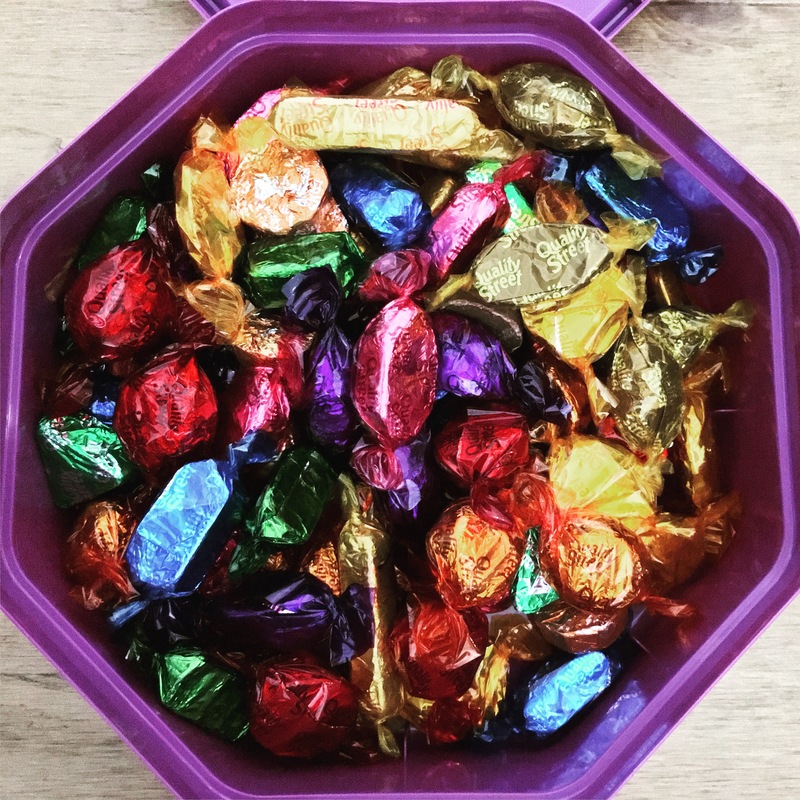 Cadbury have a lot to do here, as right now the definitive Christmas chocolates are Quality Street.